Google has announced that Nigeria, Africa's most populous nation, will be the first on the continent to receive Google's free public Wi-Fi service. 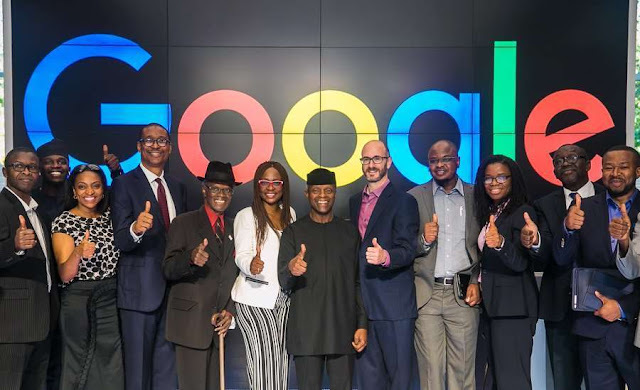 The company made the disclosure at its Google for Nigeria Event in Lagos stating that Google on initiative is already live in five countries globally and will connect millions of users via 200 Wi-Fi hotspots spread across five cities in Nigeria within one year. Country Director, Google Nigeria, Juliet Chiazor, said, “Today, at our second Google for Nigeria event, we announced more products and programs to help more people in Nigeria and across Africa benefit from the opportunities the web has to offer. Google also disclosed that they are not deploying their moonshot Project Loon to provide connectivity, instead, it is partnering with Nigerian fiber optic telecoms service provider 21st Century to roll out Wi-Fi spots at public places such as colleges, malls, markets and bus stations. Moreover, the tech giant is not paying the service provider and venue owners for the internet access but they will be sharing ad revenues generated from usage of Google Station. According to Web Foundation's 2017 Affordability Report, only 17% of Nigerians with mobile internet users have access to public Wi-Fi, and the cost of a 1GB prepaid data plan is about 8% of a Nigeria's average monthly income while the country's mobile broadband penetration rate is below 12%. It is believed that this initiative will benefit Nigerians using the internet for the first time and those that cannot afford Nigeria's high data cost can now access Google services in spite of the high data cost. Recall that Vice President, Professor Yemi Osinbajo, SAN, paid a visit to Google Headquarters recently where he led a team of Nigeria’s young tech entrepreneurs. The entrepreneurs were drawn from the recently inaugurated the Advisory Group on Technology and Creativity, a subset of theNational Industrial Policy and Competitiveness Advisory Council established by President Muhammadu Buhari in 2017. Google CEO, Sundar Pichai, who expressed excitements at the Vice President’s visit to Googleplex, stressed the importance of technology and innovation in Nigeria’s growing economy. “Happy to welcome the Vice President of Nigeria @ProfOsinbajo to the Googleplex today – great to chat with him about the opportunities of Nigeria’s digital economy,” the Google boss took to his Twitter handle to say. Discussions between Professor Osinbajo and Mr. Pichai revolved around bridging the gap between tech companies in Silicon Valley and highly qualified talent in Africa. Professor Osinbajo, in a series of tweets stated that he is in the US for a Public-Private sector collaborative investment road show. The Vice President was also hosted in a series of investment forums in Silicon Valley interacting with key US technology firms promoting Nigeria tech firms. This latest development by Google simply depicts the power and professionalism of Vice President Yemi Osinbajo’s interaction with the global world.